What is the status of the White corner? From a game on IGS between a 3d+ and a 3d. 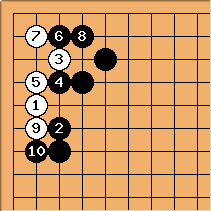 Kyu-players take heart and solve this problem! Time pressure can distort ones reading ability and make one go-blind. These two 3d's are not immune.